This Waffle Stick Maker Will Drastically Increase You Consumption of Waffle Sticks | OhGizmo! What can be more exciting than being able to make waffle sticks whenever you want? I mean, I guess a lot of things, but waffle sticks are pretty cool too. 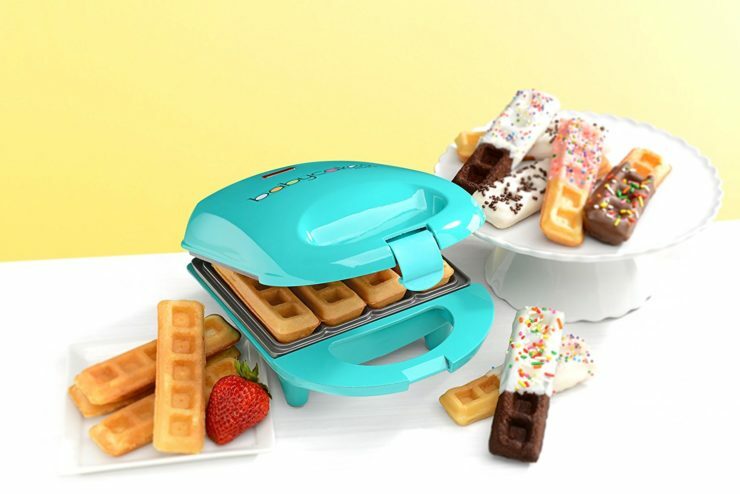 The Babycakes Waffle Stick Maker Mini makes making waffle sticks much easier than making waffle sticks by using a regular waffle maker, by making waffles that are already sticks (I’m so sorry). The design means that everytime you make cook waffles, they come out ready to dip in your favorite healthy toppings, like melted chocolate, Nutella or just good ol’ syrup. I mean, you could just cut up regular waffles into sticks, but what are you, a psychopath or something? It’s available for $13. Though it only makes 4 small sticks at a time, so it might feel a little ridiculous going back so many times for more. Is there such a thing as going back for eights?